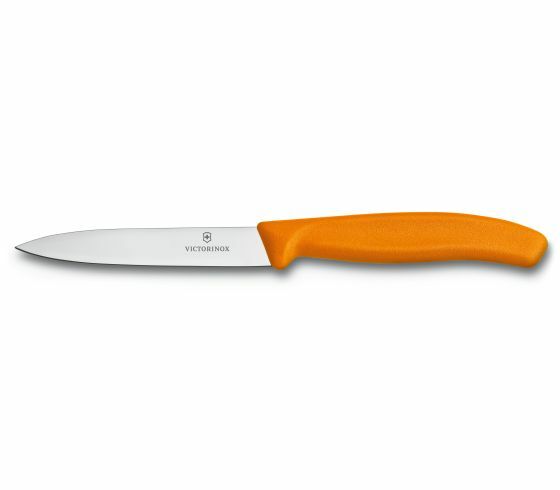 I’ve written about Victorinox Paring Knives before so its no secret that I love them. They are marketed as kitchen knives but these dirt cheap knives are useful for everything from everyday tasks, to hunting, and even self-defense. I own a stack of these. At around $6-8 a piece, I don’t mind keeping a stash of them on hand. I’ve been using and abusing the same 8 or 9 for at least 5 years and I have yet to break one. I use them in the kitchen, for processing meat animals and game up to white tail deer size, for general utility tasks, for fishing, every day carry, and just about any other way you can use a knife. Are they good for batoning fire wood? No, but that doesn’t mean they are weak. You just need to be realistic with their use. At less than an ounce a piece, you can manage to carry one with a hatchet. They are surprisingly good hunting knives and I people are often surprised to find out we use them to dress deer. Instead of worrying about sharpening your knife in the field, you just carry a handful of them. If one gets dull part way through field dressing (it probably won’t), just grab the next one. That saves time, money, and weight in your pack because a handful of these knives still weigh less than most field knives. The biggest snag with keeping these knives as general purpose knives is finding a sheath but that is becoming easier now with the proliferation of kydex benders. Victorinox also offers a couple of cheap options that can be purchased separately. I use their BladeSafes which are are plastic blade covers that open like a clam shell and have small rubber pads inside that grip the blade when closed. They are secure enough to allow you to carry the knives in your pack safely, very affordable, and best of all… dishwasher safe. That makes cleaning blood, fur, and animal fat out of them a breeze. 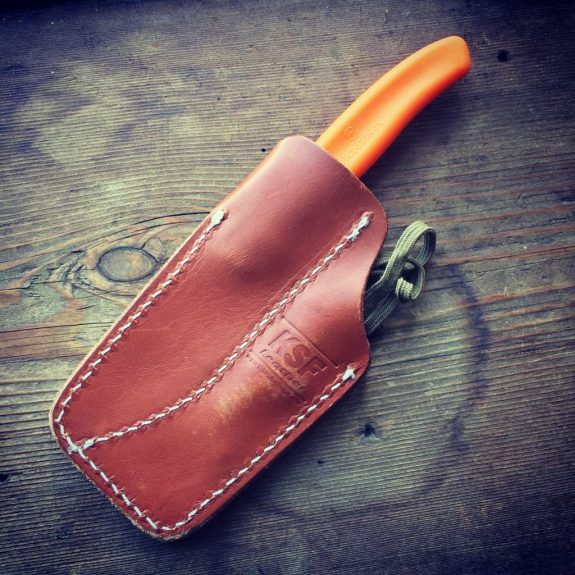 I also use a KSF Pocket Sheath to carry one almost every day. These knives are most certainly BARGAINS. They are dirt cheap but perform far beyond the low price would lead you to believe. As far as I am concerned, everyone should have a stash of them.